How Do I Find An Estate Planning Attorney In My Area? If you are not interested in working with us remotely, we recommend visiting napfa.org to find a financial advisor in your area. The National Association of Personal Financial Advisors (NAPFA) is the country’s leading professional association of Fee-Only financial advisors—highly trained professionals who are committed to working in the best interests of those they serve. I am certain that there are great financial advisors who are not part of NAPFA, but advisors who are part of NAPFA should have a measure of competence. 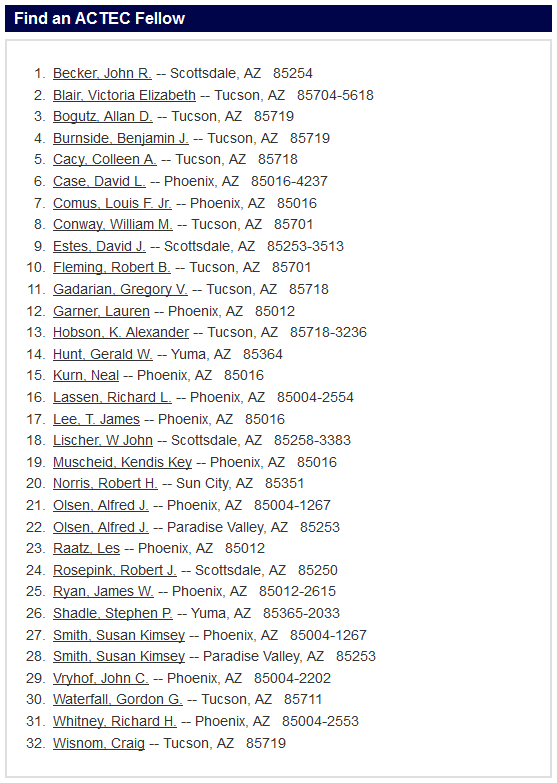 We keep a list of estate planning attorneys with which our clients have had good experiences. But we are also often asked how someone can find an estate planning attorney near them. And while there are dozens of attorney search services, I always look for something a little more selective. Yes, of course you can ask your friends and family for a referral. And yes, you can ask your financial advisor or your accountant or an attorney you have used for another matter for a referral. I am assuming that you have done these things, and would like some method of discriminating between the results. And I am looking for something that is a better starting place than advertisements and phone directories. Cooperate with bar associations and other organizations with similar missions. ACTEC members advise clients or teach in one or more of the following areas: planning for the orderly and tax efficient transfer of wealth during life and after death and preparing all related estate planning documents; administering trusts, decedent’s estates, guardianships, conservatorships and other family entities; planning for incapacity and elder concerns; planning for employee benefits; Planning charitable gifts and advising exempt organizations; and handling tax controversy and fiduciary litigation. Membership in ACTEC is by election of the regents of the College. Individual lawyers meeting the criteria for membership are nominated for membership by fellows of the College, and subjected to careful review by both state and national membership selection committees, prior to consideration by the regents of the College. Applications for membership by members of the bar are not accepted by the College. 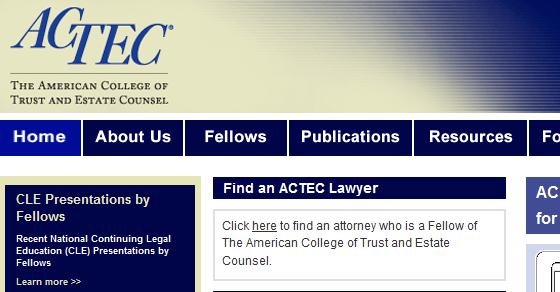 There are a lot of great estate planning attorneys who are not part of ACTEC, but the attorneys who are part of ACTEC should have a measure of competence.